The following is a short review I wrote of discourse.cpp (pdf available here) by O.S. le Si, ed. Aurélie Herbelot, published by the Berlin-based Peer Press in 2011. The review was just published in the December issue of Computational Linguistics. More, this linguistic evidence also draws attention to the ever-increasing intertwinement of human and digital computer and the resulting displacement of the human as sole reader-writer now that the computer is also a reader-writer alongside (and often in collaboration with) the human. As Herbelot rightly points out in the “Editor’s Foreword,” to a large extent this experimentation with the computer as reader-writer also comes out of early twentieth century, avant-garde writing that similarly sought to undermine, if not displace, the individual intending author. Dadaist Tristan Tzara, for instance, infamously wrote “TO MAKE A DADAIST POEM” in 1920 in which he advocates writing poetry by cutting out words from a newspaper article, randomly choosing these words from a hat, and then appropriating these randomly chosen words to create a poem by “an infinitely original author of charming sensibility.” Tzara was, of course, being typically Dadaist in his tongue-in-cheek attitude; but he was also, I believe, serious in his belief that the combination of appropriation and chance-generated methods of producing text could produce original writing that simultaneously undermined the egotism of the author. However, insofar as discourse.cpp comes out of a lineage of experimental writing invested in chance-generated writing and, later, in exploiting computer technology as the latest means by which to produce such writing, it also comes out of a certain tradition of disingenuousness that comes along with this lineage. No matter how much Tzara and later authors of computer-generated writing sought to remove the human-as-author, there was and still is no getting around the fact that humans are in fact deeply involved in the creation process – whether as cutters-and-pasters, computer programmers, inputters, or editors. 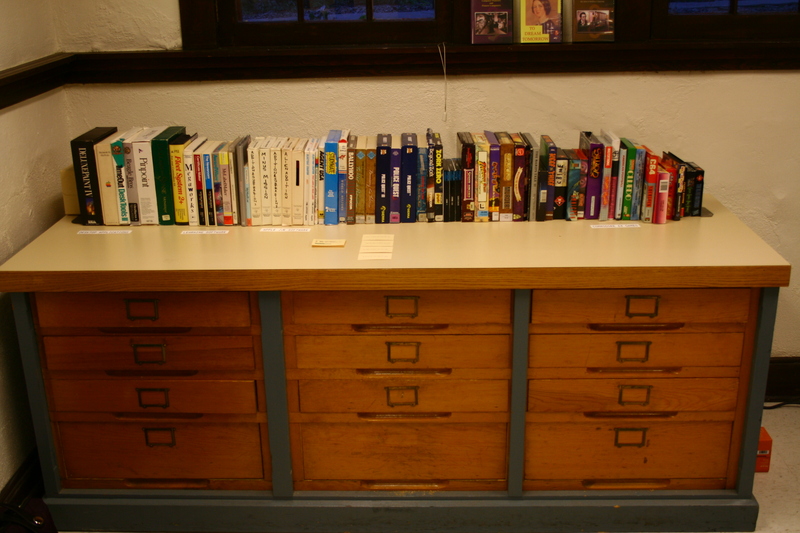 The collection, then, is a much more complex amalgam than even Herbelot seems willing to acknowledge as discourse.cpp is evidence of the evenly distributed reading and writing that took place between Herbelot and the computer/program itself. The Media Archaeology Lab was fortunate to have a visit this week from Kevin Kane, a talented student at the University of Colorado Boulder, who took a series of photos of some of the MAL’s holdings. We are working on compiling a complete, detailed catalogue of the lab’s complete holdings – until then, hopefully these photos give you a sense of the lab. Enjoy! 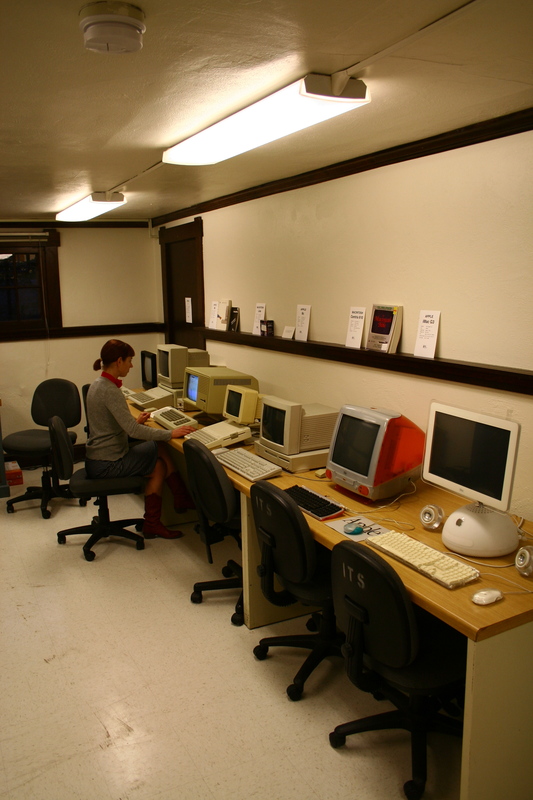 This picture captures most of the MAL’s fully functional Apple computers, from an Apple 1 replica to an iMac G4. 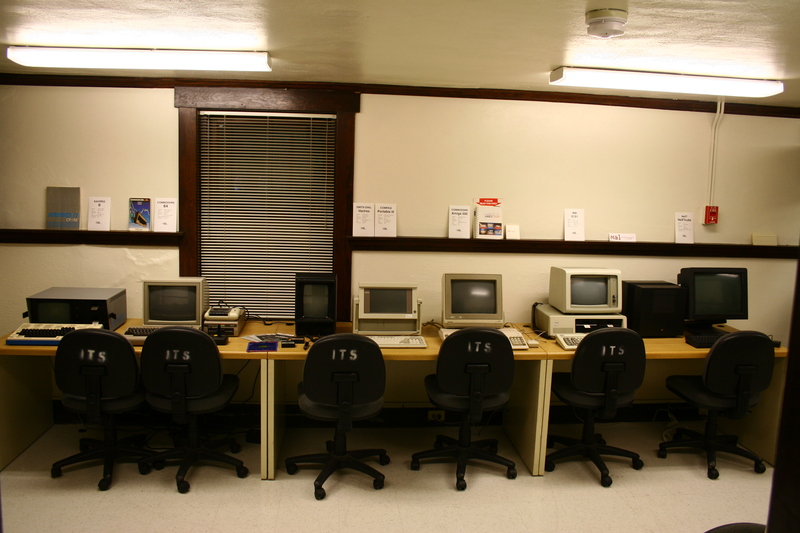 The MAL’s collection of PCs – from left to right: Kaypro II, Commodore 64, Vectrex, Compaq Portable, Commodore Amiga 500, IBM 5150, NeXT Cube. 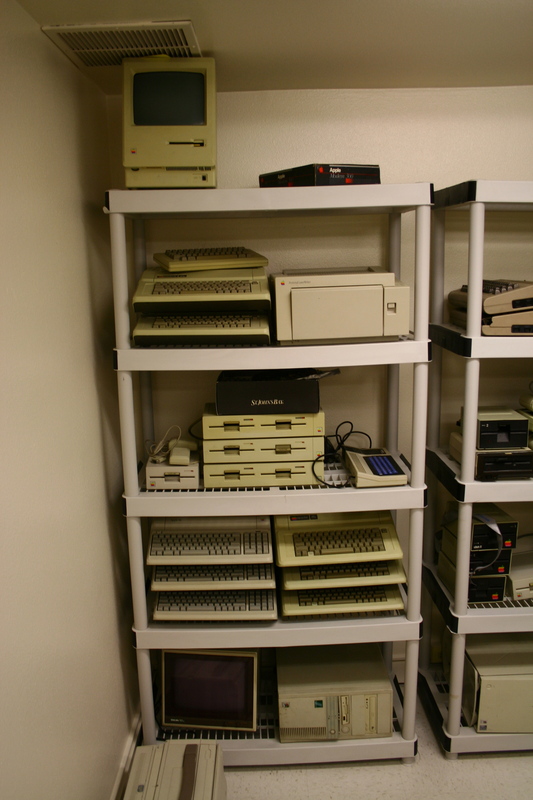 The MAL has a substantial collection of Apple IIe’s – some are fully functional and others are in need of repair. Also notice the Mattel Aquarius computer on the third shelf. The MAL also has a modest collection of games and software, particularly for Apple II, Commodore 64, and Commodore Amiga. MAL’s growing collection of early e-literature. 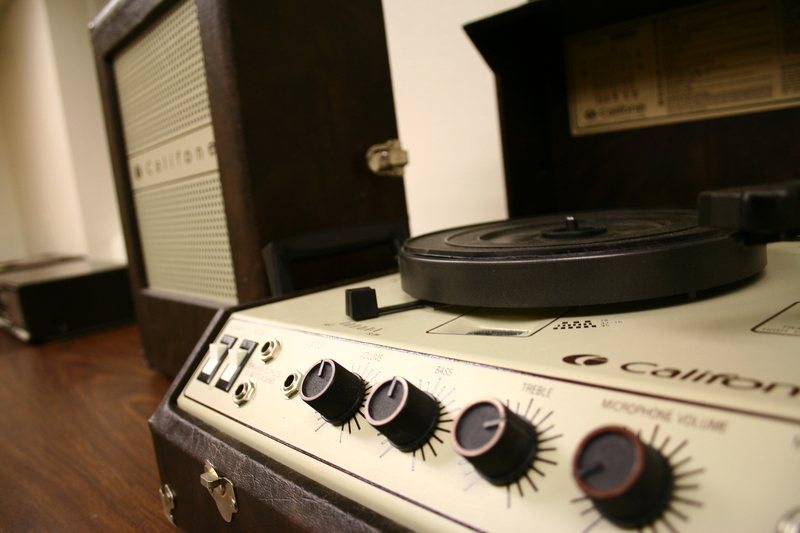 Finally, the MAL has a collection of analog machines including this beautiful Califone record player from, I think, the 1960s. Below is the description for the MLA ’13 special session panel that Paul Benzon, Mark Sample, Zach Whalen, and I will present on in January. We’re thrilled to have the opportunity to pursue together issues related to Media Archaeology. Media studies is growing increasingly visible within the broader disciplines of literary and cultural studies, with several critical approaches bringing valuable shape and context to the field. Prominent among these approaches is a turn away from media studies’ longstanding fixation upon the new or the innovative as the most urgent and deserving site of study. Drawing on methodologies as diverse as book history, media archaeology, and videogame studies, this work on earlier media technologies has forged provocative connections between past and present contexts that hinge upon disjuncture and nonlinearity as often as upon continuity and teleology. At the same time, an increased attention to the material particulars of inscription, storage, circulation, and reception has developed the field beyond an early focus on narrative and representation. New media scholars now look beyond screen-based media, to a broader range of technologies and sites of inquiry. 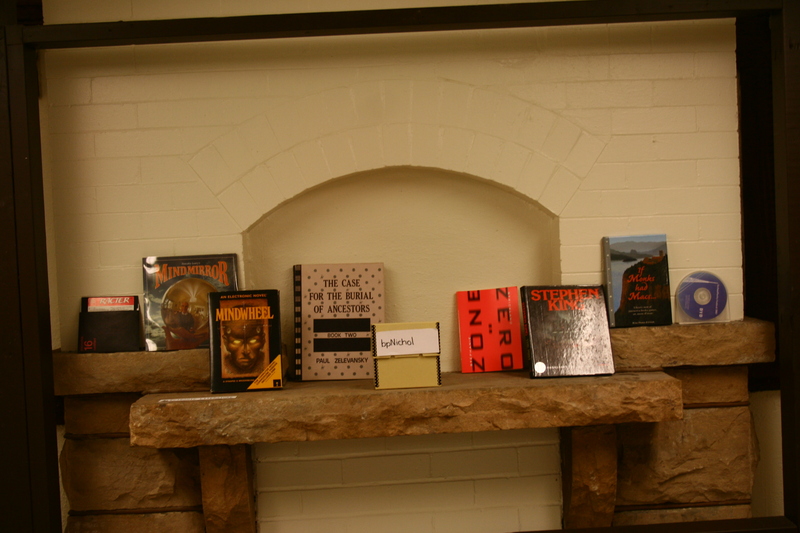 This panel seeks to consider unseen, lost, or unwanted histories of writing/media. Each of the panelists focuses on a particular technology that is not only invisible to the broad history of media technology, but also relies upon loss and invisibility for its very functionality. In keeping with this dual valence, our emphasis on loss and invisibility is intended to raise questions aimed at our specific objects of analysis, but also at the deeper historical and disciplinary questions that these objects speak to: how does our understanding of media technology change when we draw attention to objects and processes that are designed to be invisible, out of view, concealed within the machine, or otherwise beyond the realm of unaided human perception? What happens when we examine the technological, social, and ideological assumptions bound up with that invisibility? How does privileging invisibility shed new light on materiality, authorship, interface, and other central critical questions within media studies? The vexing relationship between invisibility and transparency is addressed head-on in Lori Emerson’s paper, “Apple Macintosh and the Ideology of the User-Friendly.” Emerson suggests that the “user-friendly” graphical user interface (GUI) that was introduced via the Apple Macintosh in 1984 was–and still is–driven by an ideology that celebrates an invisible interface instead of offering users transparent access to the framing mechanisms of the interface as well as the underlying flow of information. Emerson asserts this particular philosophy of the user-friendly was a response to earlier models of home computers which were less interested in providing ready-made tools through an invisible interface and more invested in educating users and providing them with the means for tool-building. Thus, the Apple Macintosh model of the GUI is clearly related to contemporary interfaces that utterly disguise the ways in which they delimit not only our access to information but also what and how we read/write. A desire to renew critical attention on the most taken-for-granted aspect of computer writing and reading is at the heart of Zach Whalen’s paper, “OCR and the Vestigial Aesthetics of Machine Vision.” Whalen examines the origins of the technology that allows machines to read and process alphanumeric characters. While graceful typography is said to work best when it is not noticed–in other words, when hidden in plain sight–early OCR fonts had to become less hidden in order to make their text available for machine processing. Whalen focuses on the OCR-A font and the contributions of OCR engineer Jacob Rabinow, who argued on behalf of ugly machine-readable type that (although historically and technically contingent) its intrinsically artificial geometry could become its own aesthetic signifier. The condensation and invisibility of textual information is taken up by Paul Benzon in his paper, “Lost in Plain Sight: Microdot Technology and the Compression of Reading.” Benzon uses the analog technology of the microdot, in which an image of a standard page of text is reduced to the size of a period, as a framework to consider questions of textual and visual materiality in new media. Benzon’s discussion focuses on the work of microdot inventor Emanuel Goldberg, who in the fifties worked alongside and in competition with the engineer Vannevar Bush, a seminal figure for new media studies. Benzon transforms the disregarded history of textual storage present in Goldberg’s work into a counter-narrative to the more hegemonic ideology of hypertext that has dominated new media studies. Turning to an entirely invisible process that we can only know by its product, Mark Sample considers the meaning of machine-generated randomness in electronic literature and videogames in his paper, “An Account of Randomness in Literary Computing.” While new media critics have looked at randomness as a narrative or literary device, Sample explores the nature of randomness at the machine level, exposing the process itself by which random numbers are generated. Sample shows how early attempts at mechanical random number generation grew out of the Cold War, and then how later writers and game designers relied on software commands like RND (in BASIC), which seemingly simplified the generation of random numbers, but which in fact were rooted in–and constrained by–the particular hardware of the machine itself. These four papers share a common impulse, which is to imagine alternate or supplementary media histories that intervene into existing scholarly discussions. 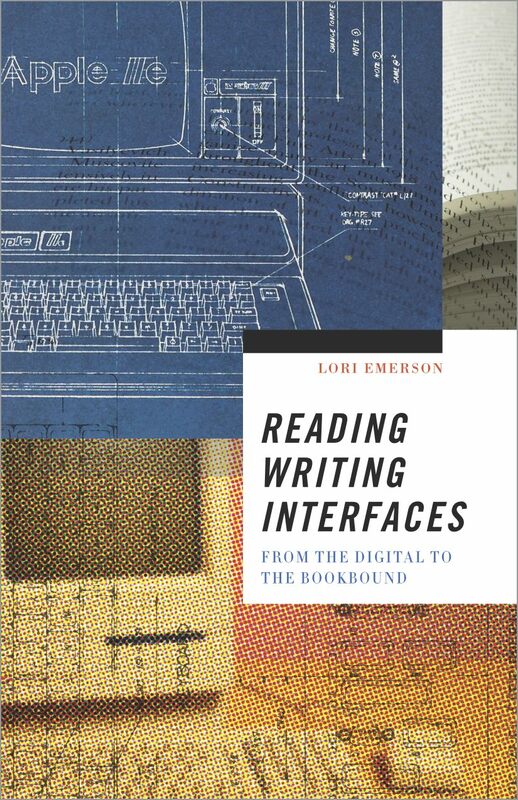 By focusing on these forgotten and unseen dimensions, we seek to complicate and enrich the ways in which literary scholars understand the role of technologies of textual production within contemporary practices of reading and writing. With timed talks of 12 minutes each, the session sets aside a considerable amount of time for discussion. 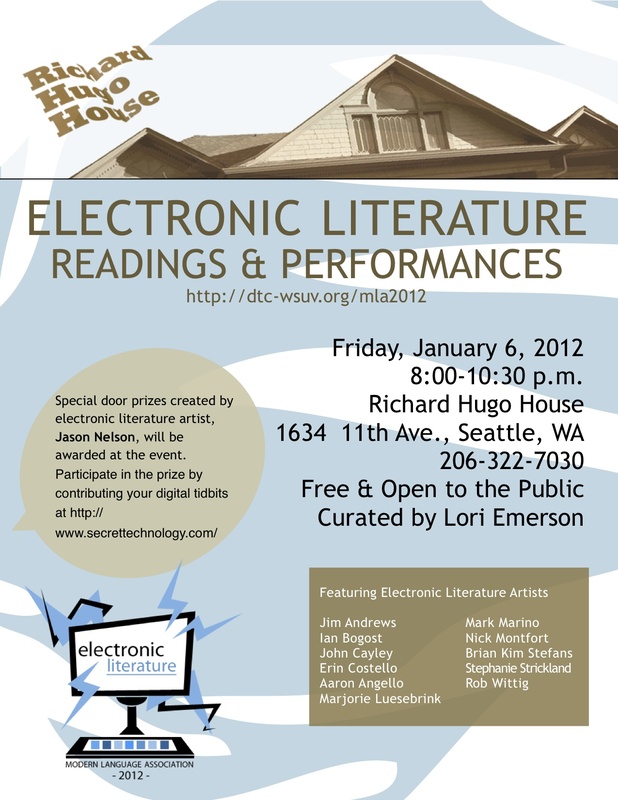 This panel will build on a growing conversation among MLA members interested in theoretically inflected yet materially specific work on media technologies, and it will also appeal to a broad cross-section of the MLA membership, including textual scholars, digital humanists, literary historians, electronic literature critics, and science and technology theorists. In 1986 – a year after creating a literary videogame called “SWALLOWS” for Apple //e and Apple //+ – writer Paul Zelevansky published the second volume of his by-now rare artist book trilogy THE CASE FOR THE BURIAL OF ANCESTORS: Book Two, Genealogy. Book Two is supposedly the third edition (which is also a fiction since there was only one edition) of a fictional translation of an equally fictional ancient text that is itself a translation of an oral account of the “Hegemonians” from the 12th-13th BCE that was “attributed to a score of mystics, religionists and scholars, none of whom has ever stepped forward.” (ix) The text focuses particularly on the stories of four priests, each of whom is identified throughout the book with a different typeface which Zelevansky claims makes it possible “to build a reading of the text around a typographical sequence.” (xi) Also included in Book Two is a sheet of 16 stamps – a miniature, layered collage of letters and found objects – as Zelevansky puts it in the “Preface to the Third Edition,” “each stamp has a particular part to play in the narrative. It is left to the Reader to attach them, where indicated, in the spaces provided throughout the text.” (xii) And, finally, enclosed in an envelope on the inside of the back cover, the book also comes with “SWALLOWS,” a 5.25″ floppy disk that is a videogame forming the first of three parts in the book. Programmed in Forth-79 for the Apple IIe or II+ (Forth was a popular programming language for home computers with limited memory), “SWALLOWS” was also integrated into the first section of Book Two through a short text/image version. Below are the directions to download the .dsk file and then run it on an emulator. Enjoy! download an Apple //e emulator. I found Virtual ][ works well. download an Apple // system ROM image. This zip file also works well.